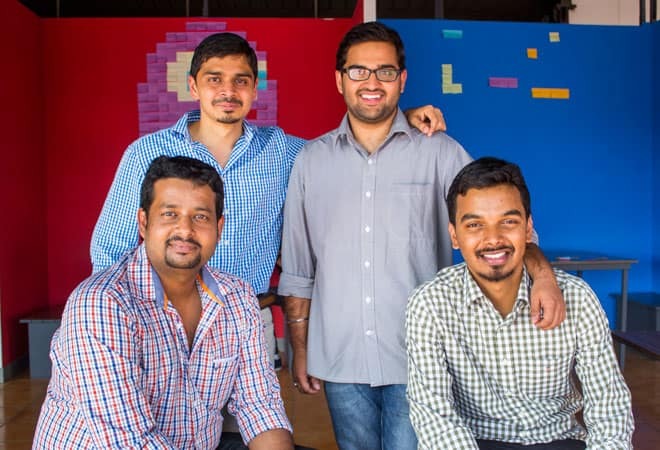 How Wooplr is growing as Pinterest of offline shopping? Whenever you visit to a restaurant, how many times you think of ordering the most preferred and most popular cuisine. Dish that most of the people loved the most. The only option with you is to ask the waiter about the most popular one. Think about the other category. When you walk into a mall and are hit by the number of apparel stores vying for your attention and business, but you are looking for that one particular little black dress that someone you met at a cocktail party last night had worn and told you that it is available in the mall you are currently at. Unfortunately, before she could tell you the store’s name, she was whisked away by her friends to dance to the latest Bollywood number. How do you find that extensive little black dress that you want to own? Wooplr has all the answers. Wooplr is an app that has recommendations from other Wooplr users across categories like Clothing, Accessories, Handbags, Shoes, Home & Living, Food & Drink, Beauty and Collectibles. Wooplr uses a Pinterest like experience hoping to help the Indian shoppers (main focus as of now are Women) and brands to connect and act as a user generated recommendation platform. All the four founders of Wooplr were earlier working at McAfee under the same manager. Rajaretham and Soumen were in the same team, the site advisor. It was an MIT startup that MacAfee had acquired and it had clocked 100 million downloads in 2007. Though they both were part of a large company, the start-up culture was predominant. Ankit (co-founder and chief product officer of Wooplr) was part of McAfee’s GTI (Global Threat Intelligence) team, which was working on defense projects. He was more of a cutting-edge R&D guy. Arjun (co-founder and CEO of Wooplr) was part of MacAfee secure, which ensures safe payments and transactions on websites. They all spent a lot of time together as they were working under the same manager. Why we choose Wooplr as Startup of the Week? • It is all fresh and original content and that is what makes it different. • Wooplr provides the most relevant products from the right place at the right time. • This app, by enabling ‘Hyper-local discovery’, shows users a glimpse of the future of shopping with options at their fingertips. • Wooplr helps businesses with a credible online presence and provides them a platform to reach out to new customers through word of mouth marketing. • At present, it has a strong community of shoppers out of which 80% are women, who share fashion inspirations and the latest trends on the go. • Wooplr has witnessed 77 K fans on Facebook and over 2200 followers on Twitter. Praveen, Soumen and Arjun had started a side project called auto404.org. It was an online grievance redressal platform dealing with complaints against auto drivers. They had themselves experienced problems while dealing with errant auto drivers on the streets of Bangalore and thought of addressing it as part of a social initiative. They had planned to build the product on the BOT (build-operate-transfer) model. They had made a presentation before the Bengaluru police commissioner and he also liked the idea. But, with a change in government in Karnataka in 2008, the initiative never really took off. However, it set the tone for them to work together. From that experience with auto404, they knew what it took to hit the street and execute the ideas. Wooplr came from the personal pain points as other startup comes from. It was a Thursday or a Friday night, after a hard day’s work they always ended up visiting the same places for shopping, food or movies. The idea was to change that –but how does one discover new places and new products. They wanted this process of discovery to be accessed by everybody and for this reason only Wooplr was born. They wanted to create a platform where people could share and discuss products across three verticals – fashion, home decor and collectables, based on their social standing, location and occasion. In February this year, the company raised $5 million from Helion Venture Partners and at the time it had claimed that it has 14,000 shops listed on the site and had over 1 lakh users of which about 80% are women. Wooplr co-founder and CEO Arjun Zacharia mentioned that majority of the app’s traffic comes from women between the ages of 16 and 30 years and over 30% of their user base is in Delhi. Zacharia added that the app saw close to 10 million product views in the month of June. Prior to this, the company previously had raised $225K from a group of angel investors including Rahul Khanna, Sunil Kalra, Vivek Pandit and Jaspreet Bindra. The management wants to have a standardized support for Windows, iOS and Android, and then build the data science team that will become the core of the company. The team explained their future planning in their own words that “We need to have a good team and then we need to make sure we support the robust product which we already have by adding new features on a continuous basis. This will ensure the turnaround time from the market to be much lower. We would keep experimenting with new features to see what works and what does not. We would also focus on user acquisition”. [su_box title=”More from DSIM:-” box_color=”#c7c7c7″ title_color=”#000000″ radius=”5″]1) Case Study:How Pepperfry occupied Indian market as India’s Largest Home Shopping Destination?